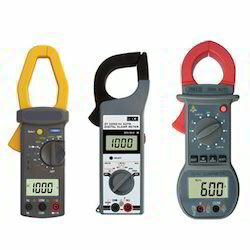 Providing you the best range of thermo hygrometer, multimeter, clamp meter, thermometers, lux meters and non-contact tachometers with effective & timely delivery. Alarm clock function at a desired hour. 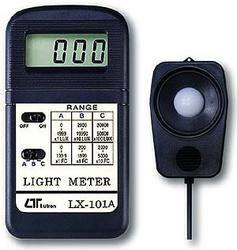 Models : 9A06 : Auto / Manual, 3½ Digit, 1999 Count LCD, with APO & Tempreture. 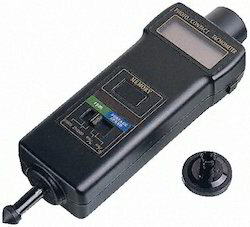 Models : 2250-Hz AUTO, 1000A AC, Auto Ranging, 3¾ Digit 3999 Counts, Data Hold, Frequency, Duty Cycle, APO. 1000A AC max. for 1 min. Humidity: 10 to 95 %RH, Temp. (oC/oF). Anemometer: 0.4 to 30 m/s, Temp. (oC/oF). Contact Tach: 0.5 to 19,999 RPM. Air velocity: 0.9 to 35.0 m/s, ft/min., km/h, mile/h, knots. Barometer: 10 to 1100 hPa, mmHg, inHg. Humidity: 10% to 95% RH, Dew. Temperature: 0 to 50 oC, oC/ oF. 0.2 - 25.0 m/s, high precision for low air velocity measurement. Type K Thermometer : -100 to 1300 oC, oC/oF. 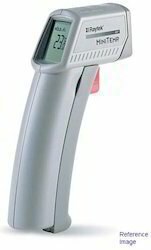 0.4 to 25.0 m/s, m/s, ft/min, km/h, knots, Temperature, Data hold, 18 mm LCD. P circuit, 0.4 to 25.0 m/s. Anemometer: 0.4 to 25.0 m/s. m/s, ft/min., km/h, mile/h, knots, Temp. 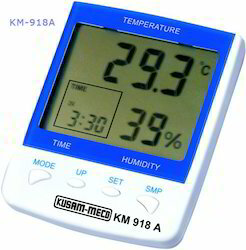 Humidity meter / %RH: 10 to 95 %RH. Humidity/Temp. : -10 to 50 oC, oC/oF. Type K thermometer: -50 to 1300 oC, oC/oF. 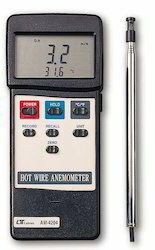 Type J thermometer: -50 to 1100 oC, oC/oF. Max., Min., data hold, RS-232 interface.